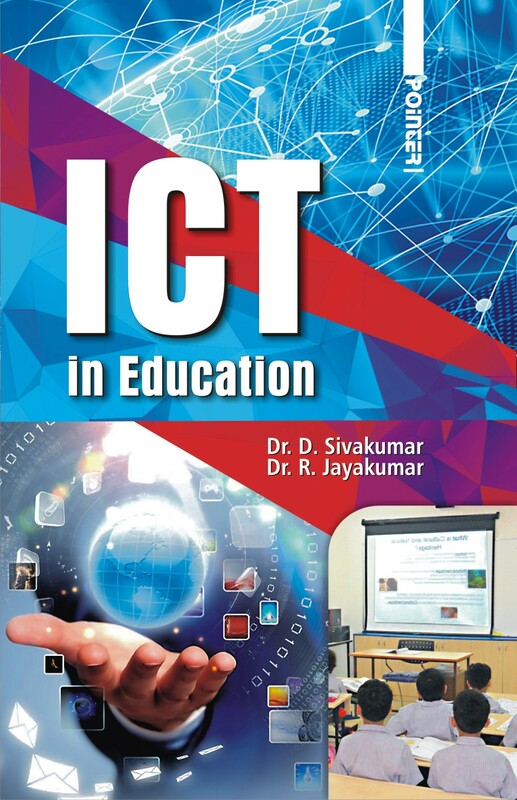 This book aims to impart the students with the new trends in information and communication technology. Both teacher and students should understand the use new technology in ICT in the field of modern education. The uses of ICT in education create a new knowledge pattern. Professional education of teachers is reaching new boundaries with the explosion of knowledge. ICT is innovative attentive to the need to ensure alignment between the development of ICT in society, their integration in schools and their use in pedagogy. The critical factor in the successful integration of ICT into teacher education is the extent to which the teacher educators have the knowledge and skill in ICT integration therefore, required to enable the teacher educators and master teachers to develop these skills. ICT is contributing to building new relationships between schools and their communities, and to bridging the gap between formal, non-formal and informal education. Finally, technology may also lead policy-makers and educational stakeholder to rethink the skills and capacities that children need to become active learners and workers in a knowledge society. The contents includes : 1. Information and Communication Technology 2. New Horizons in ICT 3. Communication and Interaction 4. ICT Enriched Learning Experiences 5. ICT in Education 6. Internet and Its Applications 7. Multi-Media Technology and Innovations in Teaching and Learning 8. ICT in Educational Institutions 9. Organizing and Learning Through ICT 10. ICT In Evaluation ICT, when appropriately used, can serve as a vehicle and a platform for meaningful educational reform geared towards a constructivism manner.